if we take a look at GlaxoSmithKline and Pfizer, they are owned by the same financial institutions and groups that own Time Warner (CNN, HBO etc.) and General Electric (NBC, Comcast, Universal Pictures etc.). This is seen throughout all of the major vaccine manufacturers and all of the 6 corporations that control our mainstream media. Keep in mind that these are the major funders of all ‘medical research’ that’s used to administer drugs and vaccinations. 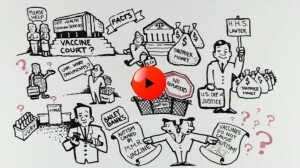 Despite these connections, medical res earch and documentation exists to show that vaccines might indeed be a cause for concern.